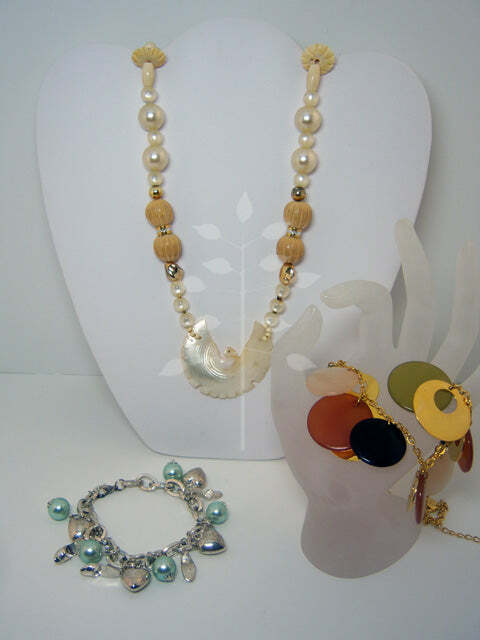 This week's collection of recycled jewelry is an eclectic mix! All of these were pieces of recycled jewelry received over the holidays. I think they are all from Sarnia. Are any of them yours? If so, contact me for your free gift! I like to reward those who give me my rad recycled jewelry because these are pieces that especially inspire me. Let's talk about the necklace. This is a combo of chunk y beads that I would probably never dream of putting together, because the combination is too bulky and disorganized. However, the pendant is what caught my attention. What an amazing bird! That is a dove made from a seashell. 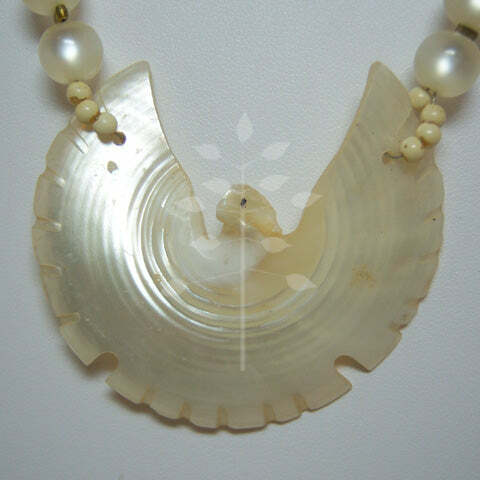 When you look closely, you see that this is an ordinary shell that has been carved into to make this incredible piece. I am not sure what I will do with this yet. Do you? Contact me to design a custom project! Next there is this amazing silver and pastel blue bracelet. I am SO excited by this bracelet and its parts! 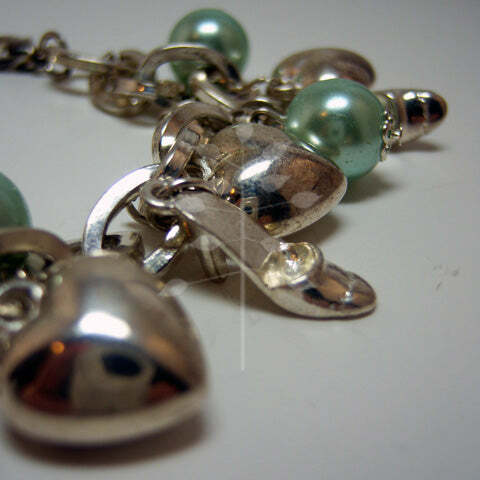 First we have sterling silver hearts and high heel charms that I have already reserved for a custom project. I am also so inspired by the beautiful blue faux pearls. These beads are high quality with a solid core and a shimmery blue opaque surface. I have already used them in some designs, notably the "Gates of Heaven" necklace. Finally, I tumbled the sterling silver chain it was made on it and will probably recycle this chain and clasp into a new bracelet! 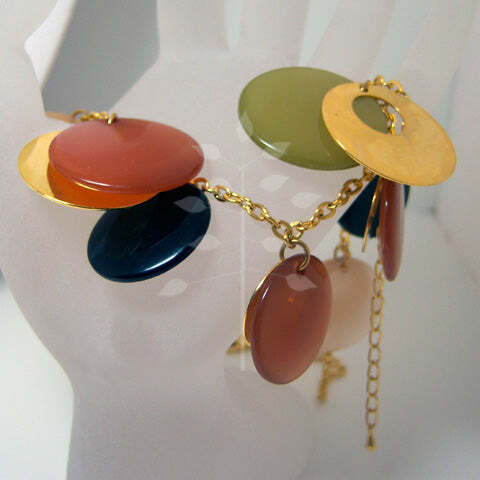 Finally, the colourful disco diva necklace! I was thrilled when I received this piece. Unfortunately for the original owner, it was broken. By recycling it, I'll be able to give each of the beads and gold shapes a new life! I am sure I will stretch these parts across a few necklaces and possibly some earrings? Stay tuned to find out!